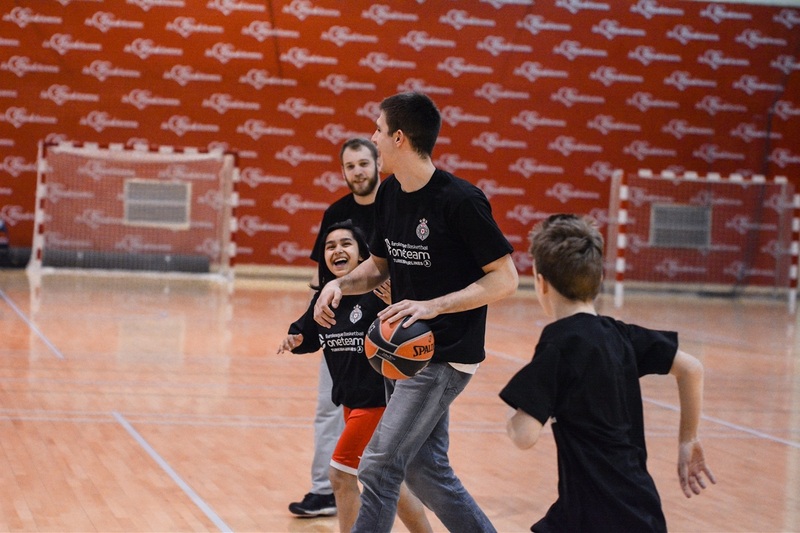 It is often said that sport has the power to act as a unifying force in society, and Partizan NIS Belgrade has shown that to be true through an inspiring project with One Team, Euroleague Basketball's social responsibility program. 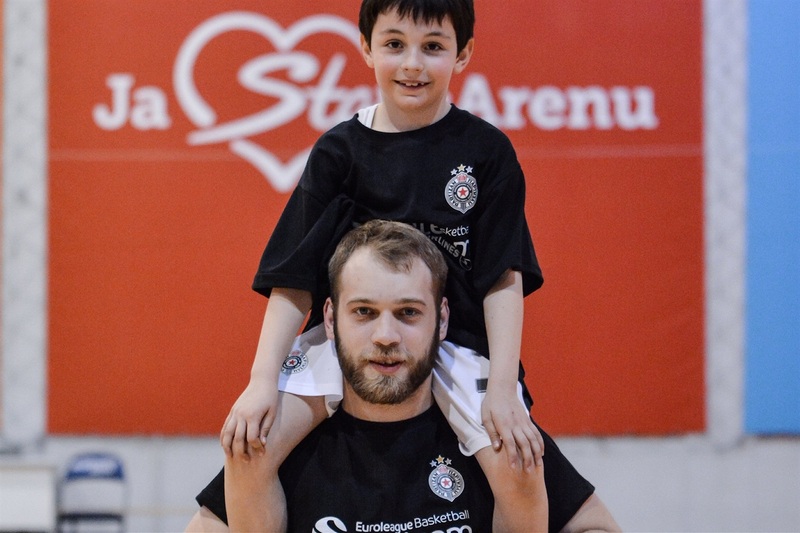 Partizan is running a multi-ethnic program with Jovan Jovanovic Zmaj, a local foster care center that operates as a part of Zvecanska, social partner for the Serbian club's One Team activities. 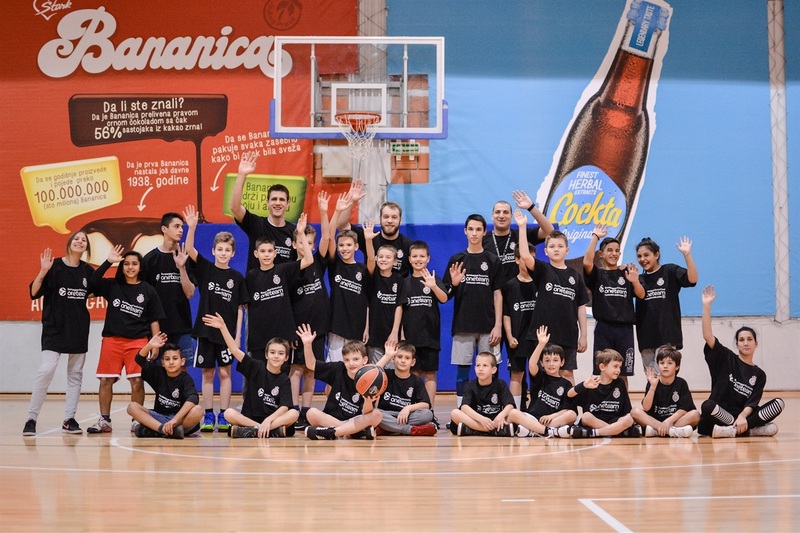 Some of the sessions are shared with Partizan's Basketball Academy, with the intention of promoting relationships between the club's young players and One Team participants from the foster care center. 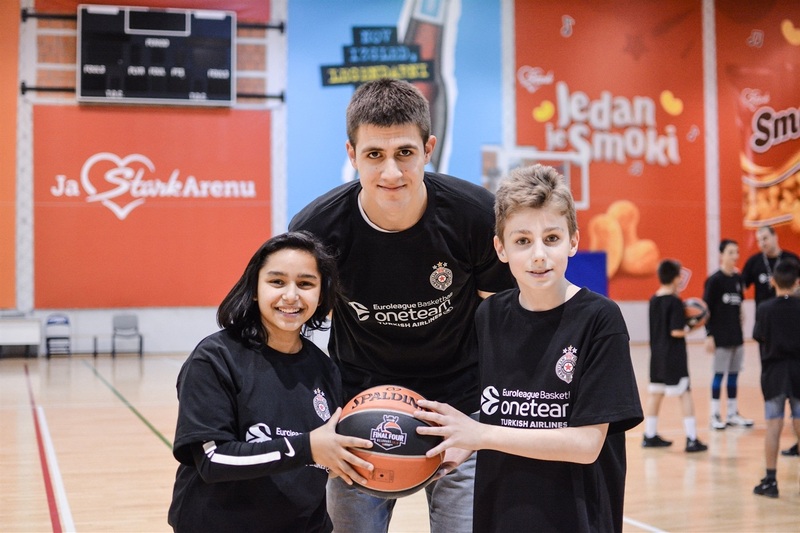 And that's exactly what happened at last week's session at Stark Arena, when the children also enjoyed a surprise visit from the team's vice-captain, Vanja Marinkovic, who is also Partizan's One Team Ambassador. 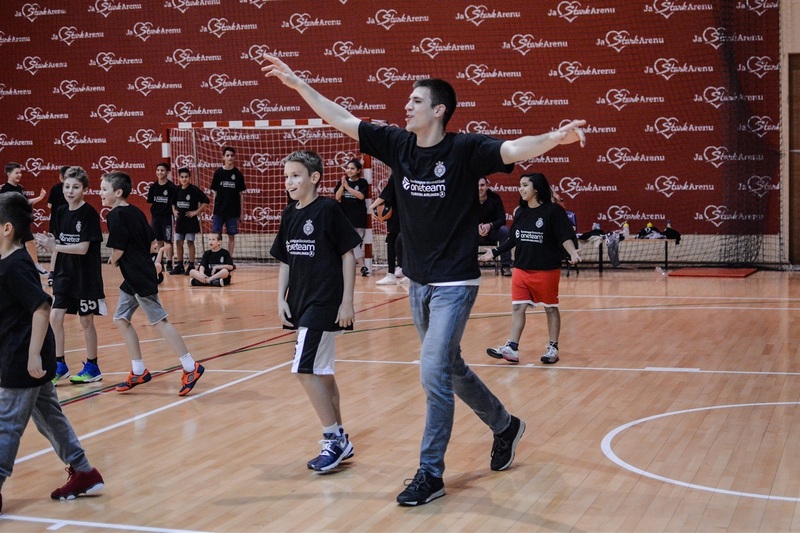 Marinkovic led a session that focused on the importance of friendships. After an introduction speech, he invited the 27 kids taking part to talk about the friendships they had made through the One Team program, and to name their best friend in the gym. 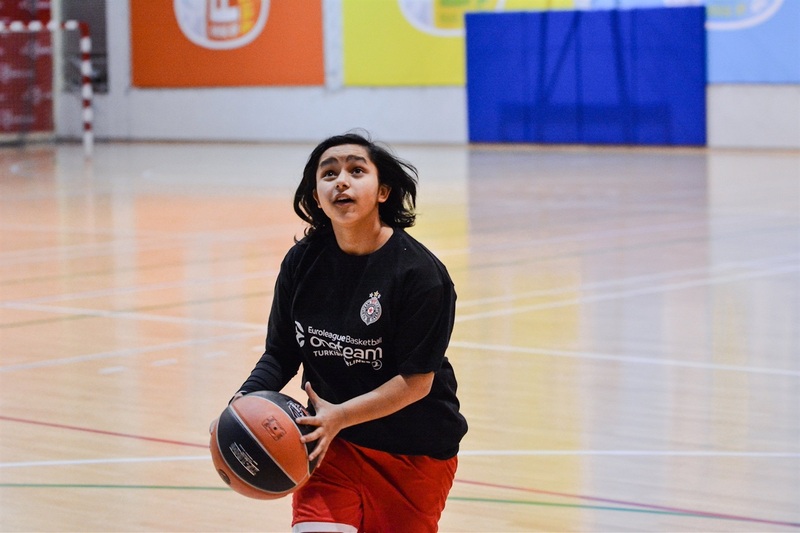 The session concluded with a shootout contest with a special prize: a Spalding ball from the Turkish Airlines EuroLeague Final Four, which was held at the arena last May. 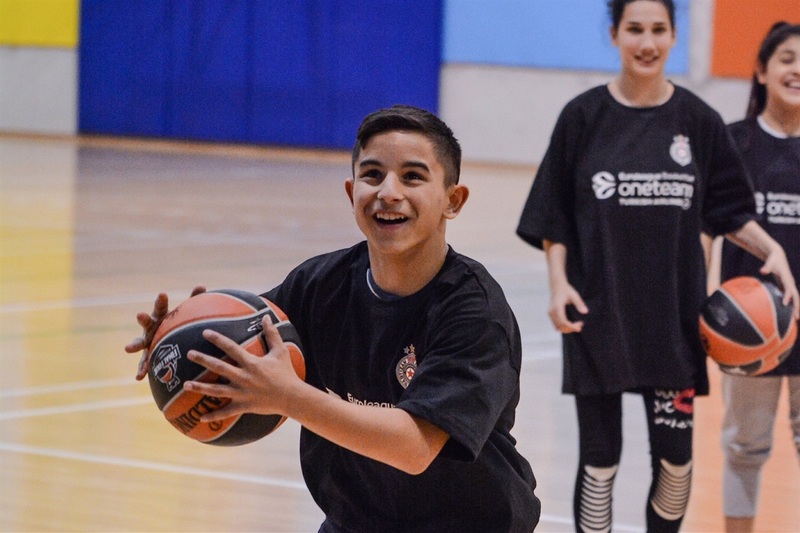 However, this competition brought another surprise, as the winner, Luka from the Partizan Academy, decided to give his ball to his friend Andelina, from the foster care center. "I was very lucky to win this ball," Luka said, "but I would like to share it with Andelina, as I saw how much she liked those balls since our first training." Marinkovic was moved to see how successful the program has been in promoting friendships between young people from different backgrounds. "When I see how these kids are becoming closer and closer with every session, it makes me wish we could have the One Team program during the whole year," he said. "I really enjoyed training with the kids from the foster care center and our academy, and I must say I am amazed with their spirit and how funny they can be. After only a few sessions, I already felt that they all breathe as one – and that we really are all One Team."